Green infrastructure reduces stormwater pollution by infiltrating, evapotranspiring, capturing, and using rainwater, and can be used to replace or augment traditional or gray stormwater infrastructure. The use of green infrastructure as a stormwater management strategy can help communities and other stakeholders effectively address some of our nation’s most pressing water quality concerns. 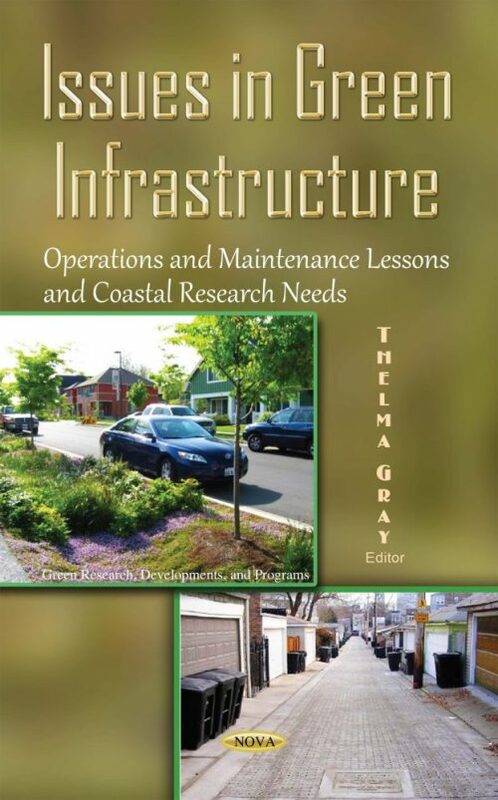 This book is intended to provide information for communities and funders to help ensure that the American Recovery and Reinvestment Act (ARRA) funded green infrastructure projects are operated and maintained to optimize long-term performance and effectively assist communities in reducing stormwater runoff and improving water quality. This book also provides research needs for coastal green infrastructure.